Below represents a "in the nut-shell" look at what I have learned over my last 8 years of clinical practice working with the connective tissue and high-performing nervous systems of runners of all ages and performance levels. I wanted to give you some simple yet effective free self-care strategies as well as studio-care that I offer our runners at the studio. Below I will share with you some basics to maintain and some detailed work I do in the studio in the event you wanted to advance the care of your connective tissue in relation to running. Enjoy this page dedicated solely to improving the health of every runner or aspiring runner whom comes across it. "I've had two amazing massage therapists in the 18 years I've been getting monthly deep tissue massages, so when my last therapist moved, I struggled to find a new one. A friend recommended Brandon, and after my first visit I knew I'd be coming back. Brandon is incredibly knowledgeable, and I appreciated how he listened to what I needed and suggested additional things I could do. I'm a runner, so I count on my massage therapist for real deep tissue work. But I also depend on energy work and nutritional counseling. Brandon does it all. I'm so very glad I found him!." It is recommended you go to Shu's Idaho Running Company to get fitted for your specific needs for shoes. Some more details of sports massage therapy we do with runners who have ankle and foot pain. These are some of our more gentle therapies to loosen tissue up. The following videos will go a little more into specific trigger point therapy, myofascial release techniques used in the studio. 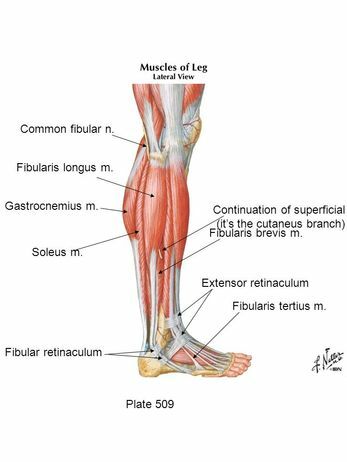 Static Manual Release (Soft Tissue Mobilization) of the Flexor Hallucis Longus and Flexor Digitorum Longus (FHL & FDL). This is absolutely necessary to treat in nearly any and all runner due to the stress-load put on these muscles and surrounding tissue. A common hamstring TPT and fascial release for runners. Check out these Runner's Knee Exercises from sports injury specialist James Dunne. This ten minute routine of stretches and exercises for Runner's Knee will help you recover from this common problem and get back to training. "Pursue what’s in your heart, and the universe will conspire to support you."